So you have decided to plant your own vegetable garden and you are looking for tips and techniques on how to do so. Planting vegetables is really not that difficult, even for novice gardeners, but there are a few things you have to take care of first, to make sure your vegetables have the best chance possible to give you a great harvest. If you rush into the project unprepared, your results will be lackluster and you are sure to be disappointed. There are plenty of articles out there on starting vegetable gardens, so we won't delve too deeply into the nitty gritty on creating the actual garden. 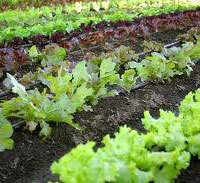 We will assume you have probably already done your home work and have the garden ready for planting. We will skim over the basics just to be sure you didn't forget anything however. If you would like a more indepth article on starting a vegetable garden, use our search bar at the top of the page and it will direct you to those articles. We have several that will help you! 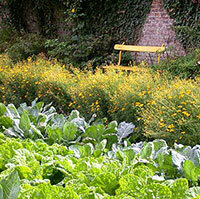 The most important thing about vegetable garden planting is the amount of sunshine your garden gets. If you are not in a location where you are getting at least 6 hours of direct sunlight a day, stop right there. Nothing you can do can make up for a lack of sun light, no amount of fertilizer or water, regardless of what anyone else tells you. Sun light is a must have for any vegetable garden to bear fruit. If you do not meet this criteria, then you should find another location to plant in, no matter how committed you are to where you're at! Beyond that there are a few other considerations you should make before finally committing to a site for your vegetable garden planting. How well the soil drains is arguably the second most important factor in choosing a location. Soil that drains too poorly will cause the plants to be subject to too much moisture and that can lead to a whole variety of issues including diseases and poor harvests. Likewise, soil that drains too well will cause all the valuable water and nutrients to simply drain away, before the plants have a chance to absorb them. You need to find a spot that is well-balanced in this regard. One consideration that doesn't seem to get a lot of attention in most How To vegetable garden guides is how much wind a particular area gets. 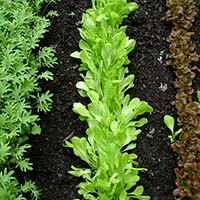 This is one of those factors that can actually make or break vegetable garden planting. If a location doesn't have good airflow, moisture doesn't evaporate properly and mold and mildew will result, along with many diseases. If a site gets too much wind, you may find your vegetables will stay too dry and heavy winds will cause them to blow over or break when they become heavy with fruit. Vegetable garden planting next to a reliable source of water is also important because it insures that you are not dependent on Mother Nature entirely for the health of your garden. Most likely the water source available will be a hose from your house or outbuilding, and keeping the garden close to home also has the added benefit of making it more accessible. It's much easier to keep a close eye on your vegetables when you don't have to travel hundreds of yards to get to it. Once you are sure your location will work, then you are ready to begin planting. 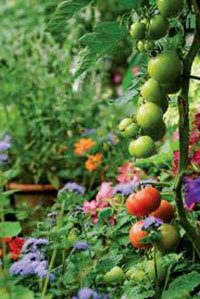 Have you put any thought into what vegetables you would like to grow? That might seem like a dumb question but believe me, you would be shocked at how many first time gardeners do not! Everyone goes into a project with at least 1 or 2 ideas on what they would like to grow, but if you plan on making this work you will probably want a few dozen or so vegetables to start with, depending on your space. 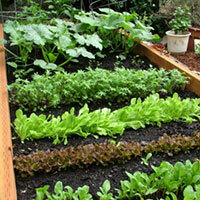 The key to vegetable garden planting is doing your research on the vegetables you would like to grow. Find out what their maturity rate is as well as how big the plants themselves get. The last thing you want to do is plant things too close together and have them hamper one another before they even start bearing fruit. If you would like to grow veggies like beans and the like, make sure you allow space for trellises and vines to grow up and out. It might seem like a simple matter, but it is very easy to overlook small details like that early on, and then not be able to accommodate them later. You may want to consider a vegetable spread that has an equal number of slow growing veggies as it does fast growing veggies. For instance if you are planting a few masses of corn, they will take 65 to 85 days before you can harvest them, depending on the variety. That's a long time for a vegetable to mature and during that time you will have a lot of barren garden space that you will have to tend and keep weeded. Consider mixing some fast growing vegetables into the space around the corn. For instance most radishes will mature and be ready for harvest within a month, some varieties of lettuce can be grown in 45 to 50 days, and there are plenty of others you can choose from. Mixing these types of vegetables in with slower growing ones gives you several harvests a year and can really help maximize the amount of vegetables your garden can produce. Not to mention growing vegetables in those empty spaces reduces the amount of weeds that have to be pulled later. Wouldn't you rather pick fresh vegetables than weeds?